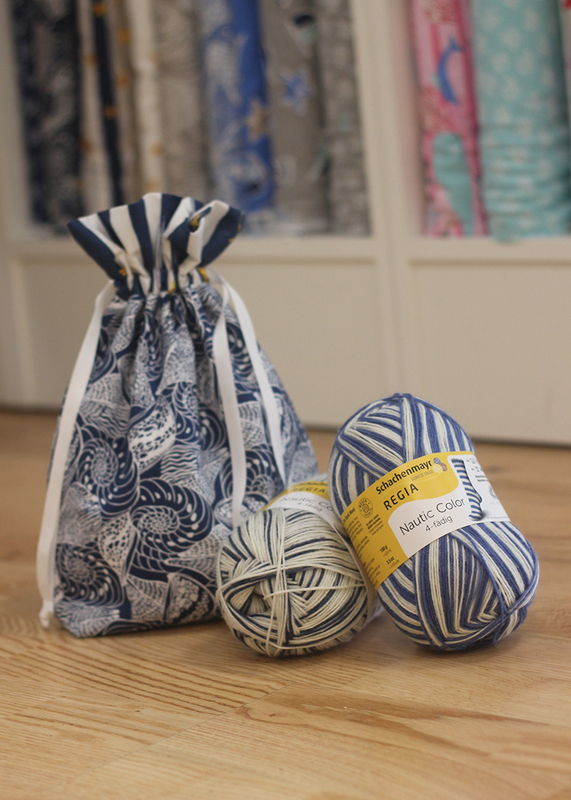 With the project bag you have your knitting and crochet projects always and everywhere with you! 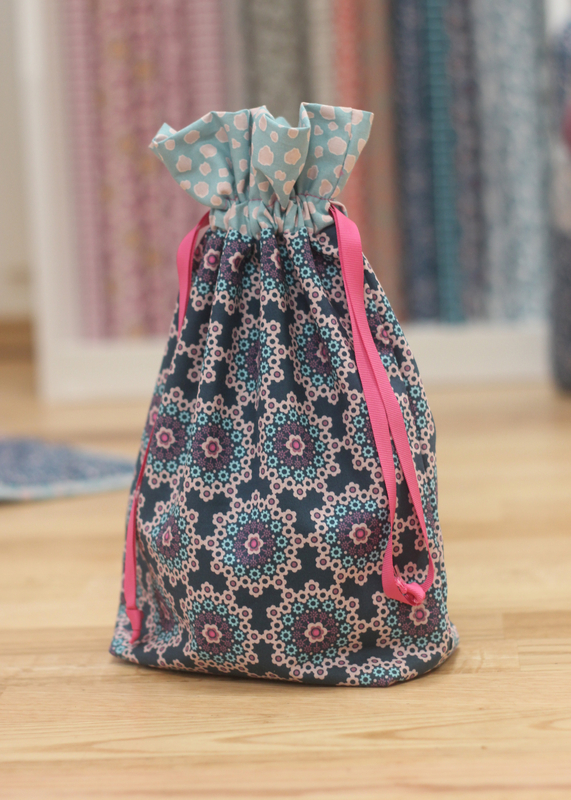 The chic bag made of two different MEZfabrics cotton fabrics is also sewn super fast. 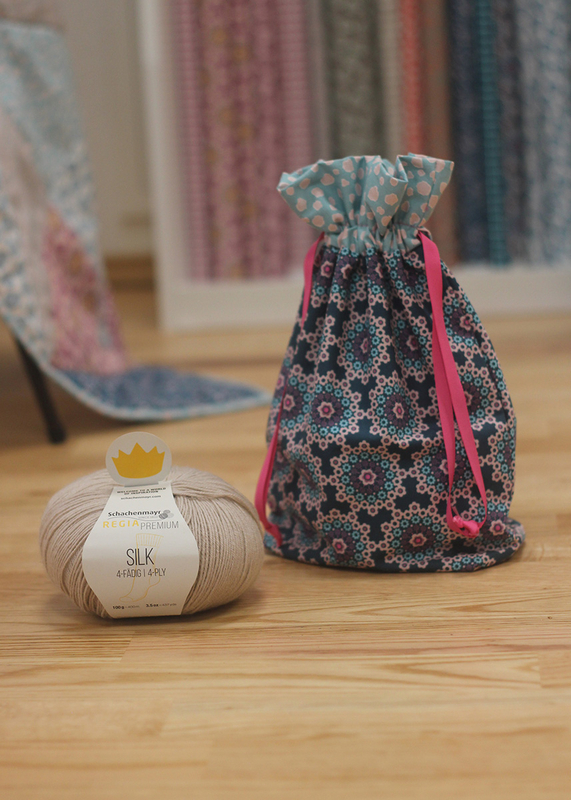 With the practical drawstring, the project bag is opened and closed quickly, so your project is always neatly stowed. But just as quickly as that, you have it ready again to continue needling.